Thank you for another great time on campus. I am working to get all of your photographs uploaded and online sometime early next week. Until then, the slideshow from graduation is now ready for viewing. After 33 years, I still get emotional putting together these graduation-weekend reflections. I move in and out of feeling like a student again, a parent, an artist and then sometimes all at once. I truly hope you enjoy it, too. A big shout out of gratitude to all those families who pre-registered for my photography services this year. It is through your advanced registration and subsequent orders that I am able to come out from California annually to provide this special memory for Chatham Hall families. This year there were two of us there to make sure we captured this beautiful graduation story and from a multitude of angles. I love the opportunity to be out on the field during the lantern ceremony, I only wish it lasted twice as long. All registered families will receive an email that will include special discounts, print credits as well as a personal gallery folder where I have curated a bulk of the images that I think you would like to see. Go there first, then hit up the entire gallery which is organized by event and event date to make viewing easy in order to find more! I encourage everyone else to look through the entire gallery and to place an order if you find some moments you’d like to have. Feel free to share with your family members too. SOCIAL MEDIA AND SHARING: Although I know seeing your images for the first time is exciting and you want to share your favorites on social media, I wanted to provide a friendly reminder that the images in the slideshow and gallery are copyrighted. Unless you purchase the digital files at a later date from your online gallery, any images shared must retain my company name watermark. In addition to ensuring my images cannot be hijacked by 3rd parties and passed-off as their own (as sometimes happens in the photography world, sadly) the watermark also helps continue to promote referral business for Lisa Richmond Photography. When your galleries are released, you will be able to share watermarked images on your social media. I really appreciate your cooperation with this request. Congratulations to the Class of 2018. I wish an abundance of health, happiness and relaxation to everyone. Have a great summer! I’ll be sending out complete information on how to view, share and purchase graduation photographs when I post the galleries online later next week. Thank you so much! Class of 2019, I’ll see yo this fall! Wow, Lisa. I just love this video. 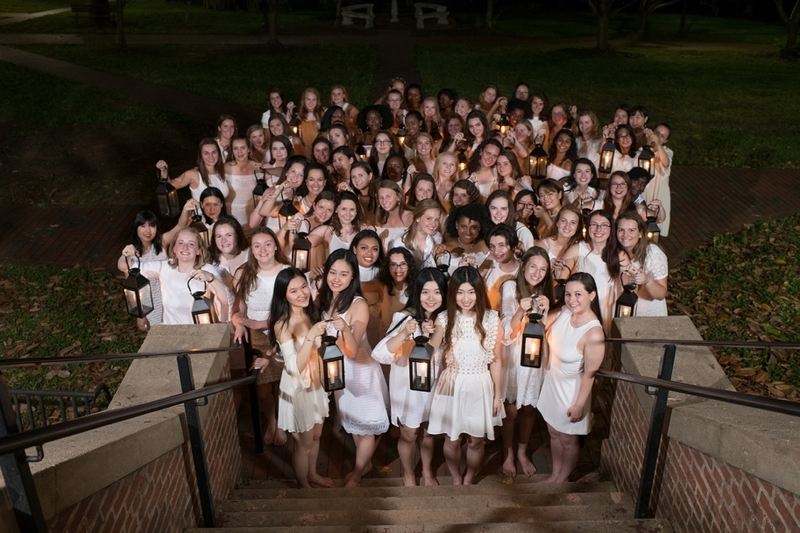 Year after year you share with us the beauty of the Chatham Hall traditions. You know just how to show us students, faculty, staff, even buildings – all bring back so many memories even after all these years. What lucky girls…wish we had this to watch and re-watch from our years there! Gorgeous. Thank you for this beautiful display of art and love! Lisa always does a beautiful job capturing the special moments during graduation weekend. Oh my gosh! Just beautiful. Nobody will ever capture the spirit of CH like you, Lisa. There is so much joy in these photos. I may have cried a little watching the slideshow. So proud of these girls. Can’t wait to see the gallery.